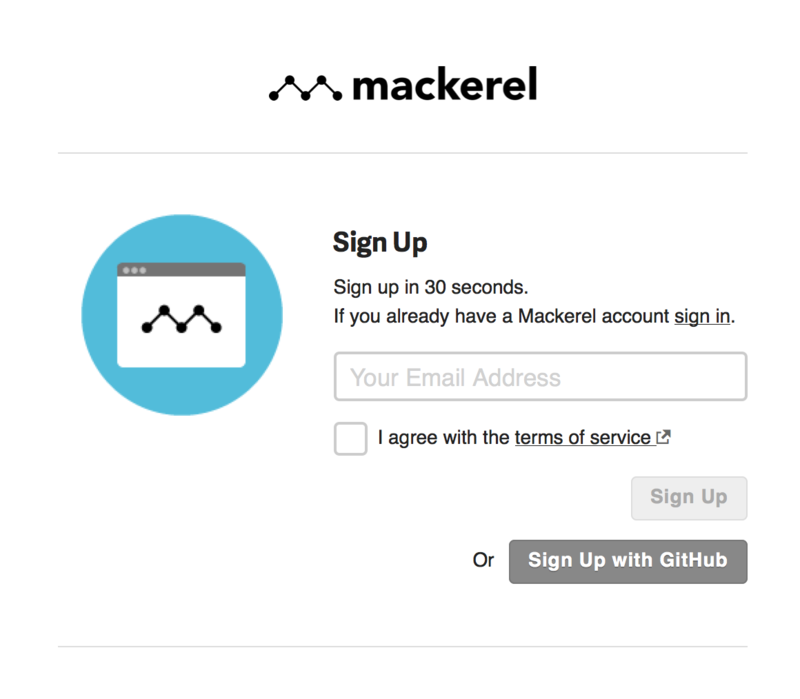 Signing into Mackerel with your GitHub account and other updates! 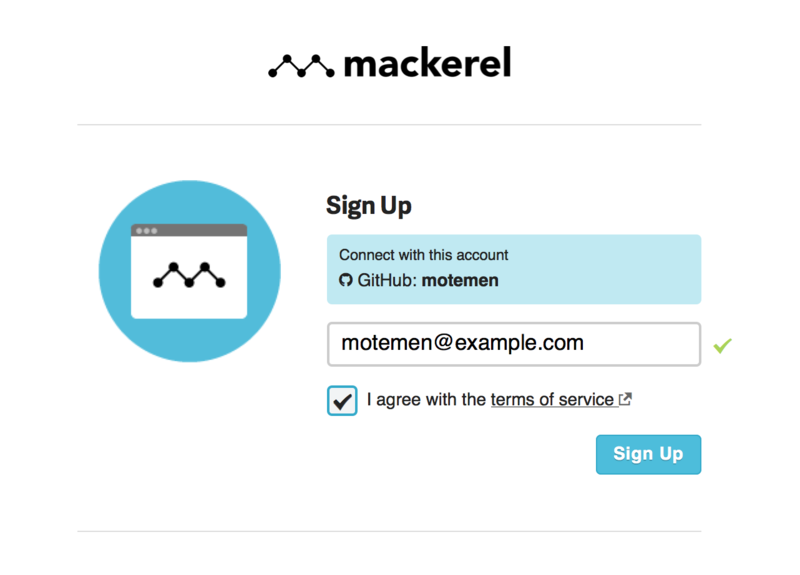 We’ve now made it an option to sign into Mackerel with your GitHub account using OAuth. We hope this will make it even easier to use Mackerel. From the Sign Up page click on the button that says “Sign Up with GitHub”. You will then be directed to GitHub where, after clicking “Authorize application”, a prompt will come up to enter an email address to confirm. 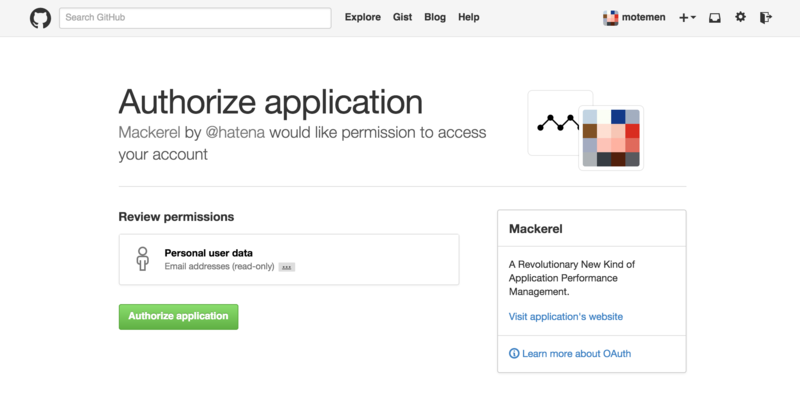 For Mackerel users it’s possible to link your GitHub account to Mackerel by going to the User Settings page. The Channels Settings page has been substantially improved and is now more visually easy to understand and use. Additionally, prior to this update, the Channels Settings page, which was located in and accessed through the Organization page, has now been relocated to the Monitors page and can be accessed at the top of the page. We’ve also released mackerel-agent version 0.13. To update mackerel-agent, please follow the mackerel-agent installation guide. Outlined below are the main things that have changed. Added -version flag to show the current version of mackerel-agent. Modified the agent’s behavior when trying to post metrics after a post failure. Now you can build mackerel-agent on darwin. For the time being, we are not officially supporting mackerel-agent on darwin.